At Quality Log Homes Builders, we use a wide range of logs and materials when we build log homes and log cabins in Eastern and Central North Carolina. We’ll work with you to determine which materials and log types to use to ensure you get your dream log home. When making decisions about log home and log cabin materials, make sure you take a look at our packages. Whether you need logs only or all the components for a turnkey log home or cabin, we’ll ensure you get the products you need at the very best price. Also known as “laminated logs,” these logs have been designed to virtually eliminate the problems associated with traditional log home and log cabin construction. Even the best traditional logs can twist, crack, and shrink. Laminated logs, on the other hand, are milled from uniformly dry wood that is essentially “pre-shrunk.” The look of a laminated log is the same as traditional, minus the cracks. We recommend laminate logs on all our log homes and log cabins to decrease maintenance cost and keep your log home looking great for decades. These logs appeal to those who prefer a more rustic appearance and see the natural tendency for logs to check (crack) as part of the character of the logs. Although maintenance costs can be higher than with laminated logs, these logs cost less than laminated logs. Our top-grade logs are the best you can get. They are TPI (Timber Products Inspection) certified, and are kiln-dried to reduce the moisture content as much as possible. Other log home builders in NC and VA tend to use only air-dried logs because it is cheaper for them, but air drying just isn’t for us! Our tongue and groove can be matched up with the logs. It is used on the interior of the home on ceilings and walls to create the same look as the logs throughout. Quality Log Home Builders also uses tongue and groove for the exterior soffit and porch ceilings that come standard with our dry-in packages, unlike competitors that only use plywood. For top-of-the-line products, materials, and logs for log homes and log cabins in Eastern and Central North Carolina, choose Quality Log Home Builders. 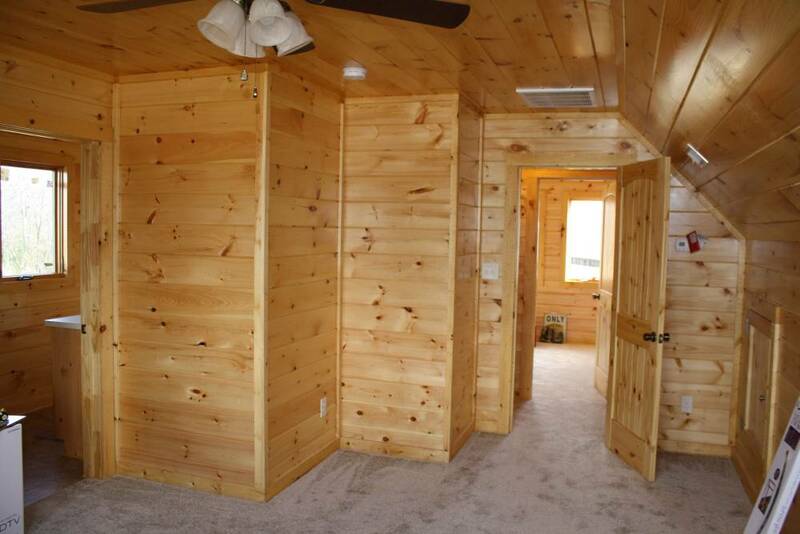 With our vast knowledge and homeowner-centered service, we build high-quality log homes at a competitive price. 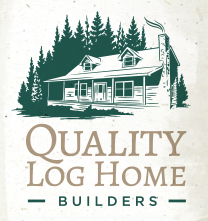 Contact Quality Log Home Builders today to learn more about our process and get started. Quality Log Homes Builders offers exceptional log cabins and log homes for sale in Eastern and Central North Carolina made from state-of-the-art materials and logs.